In the 1960's Drive-ins were the all-American hangout for teenagers. Mel’s was a classic, widely remembered by anyone who grew up in the 1950's or 60's in the San Francisco. 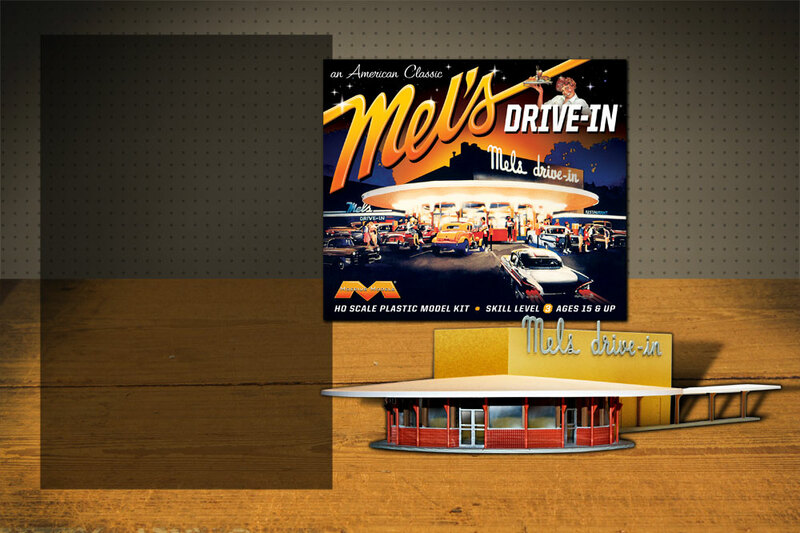 Mel's is the drive-in everyone recognizes. HO scale, needs paint and glue for final assembly.